Speakers from Doctors without Borders (MSF), CHOICE and other community organisations will urge the government to reject harmful proposals in the TPP at a public forum at 12.30-2pm today in the Jubilee Room at NSW Parliament House, Macquarie St, Sydney. 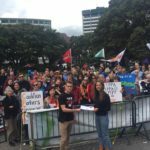 The forum precedes almost 500 local actions in four continents to protest the TPP and a similar Trans-Atlantic agreement before further secret TPP negotiations are held in the US next week. Many of these actions are US protests against legislation to “fast track” the TPP through the US Congress, which would prevent the Congress from amending the agreement. “The recent leaked TPP investment chapter showed that the TPP could allow foreign corporations to sue the Australian government for damages over decisions of the Pharmaceutical Benefits Scheme, Medicare and other organisations. The Australian government has sought to exclude them, but this has not been agreed. Community opposition to TPP secrecy is growing ahead of a Senate Inquiry which will hear submissions for greater transparency and democracy in the trade agreement process,” said Dr Patricia Ranald, Coordinator of the Australian Fair Trade and Investment Network. “If the TPP includes provisions which give even more rights to pharmaceutical companies to delay the availability of cheaper generic medicines then patients in Australia and millions in the Asia Pacific will suffer unnecessarily,” said Jon Edwards, Advocacy Manger MSF Australia. 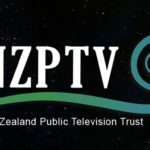 “Leaked TPP copyright proposals would give increased rights to corporate copyright holders at the expense of internet users and other consumers, and could prevent future copyright law reform,” saidProfessor Kimberlee Weatherall, Sydney University. “The TPP could give foreign corporations the right to sue the Australian government in international courts over policies that promote the public interest. In the wake of the contaminated berries scandal, we’d like to see better country of origin labelling, but the TPP could threaten this and other food labelling changes in the future,” said Sarah AgarCampaigns and Policy Advisor, CHOICE. 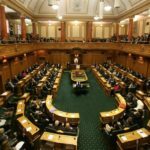 Speakers will also support calls for the government to release the TPP text to enable public and parliamentary scrutiny before the decision to sign it is made by Cabinet.